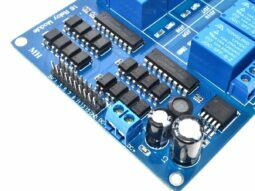 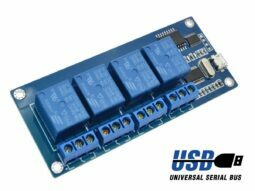 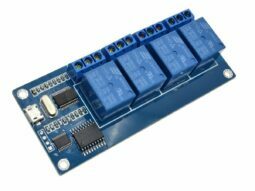 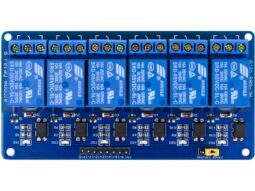 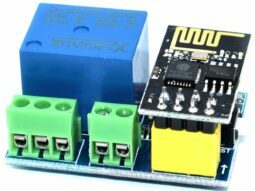 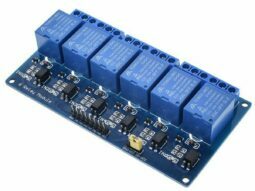 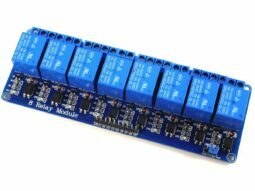 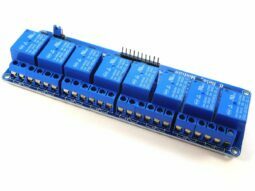 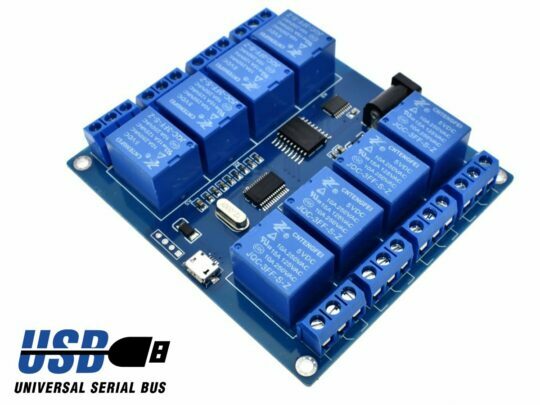 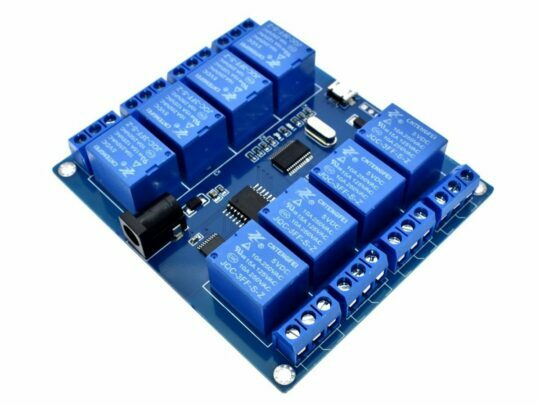 8-Relay-Board ICSE014A with USB control interface. 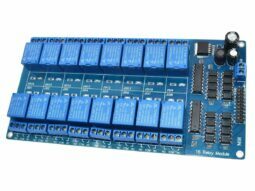 Easy control of up to 8 loads with a capacity of max. 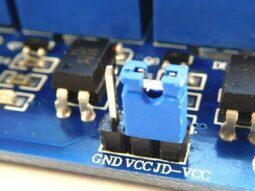 250V and 10A. 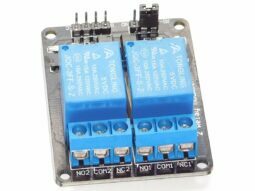 The relay board needs a power supply of 5V / 0.7A. 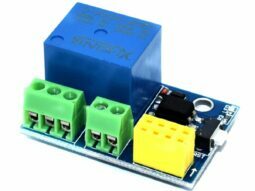 Dimension approximately 80 x 92 x 18 mm.